Macbeth is one of Shakespeare’s fiercest tragedies. The familiar story of murder, deceit and suicide undergoes a thrilling remake for National Theatre’s (NT) touring production. Rufus believes it’s these parallels that allowed him to take Macbeth from the 11th century to a contemporary post-civil war setting: “Eleventh century Scotland was a time where Vikings were rampaging. Trying to keep a kingdom together at that time would’ve been really difficult. I’ve seen various productions of Macbeth, where it’s set in the 1920s or the 16th century, and I don’t think they work because the play rapidly becomes about rich people killing other rich people. The influence of corrupt, ambitious leadership and the relationship between characters comes through, but I feel it misses that true 11th century element of ‘survival’. To get by in that tumultuous environment, people would’ve had to take opportunities when they came, which sometimes may have provoked the kind of radical, murderous action we see in Macbeth. The metaphysical is also a vital part of the play. In productions of Macbeth, creatives must think carefully about how the witches fit into their vision. Despite the lack of correlation between critic and audience reaction, Rufus still believes theatre criticism to be of immense value. Moving away from talking about Macbeth, what does Rufus feel is the National Theatre’s primary remit? 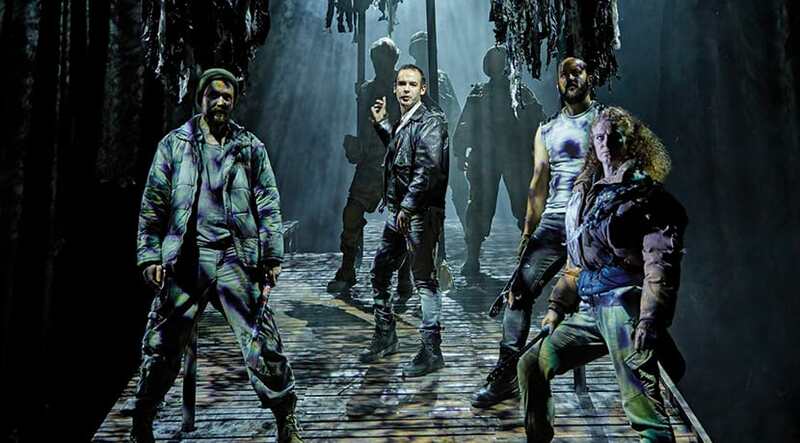 Macbeth shows at the Wolverhampton Grand Theatre from Tuesday 12 to Saturday 16 March.